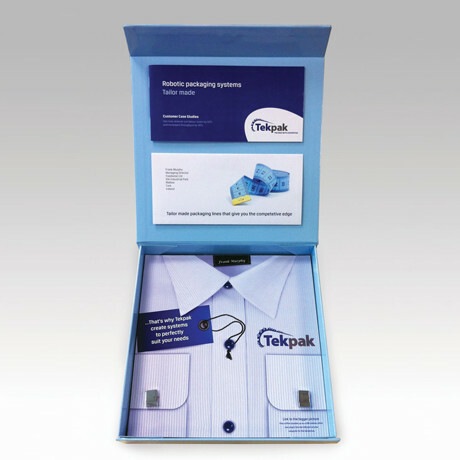 A multi-award winning campaign for Wexford based manufacturing company Tekpak. 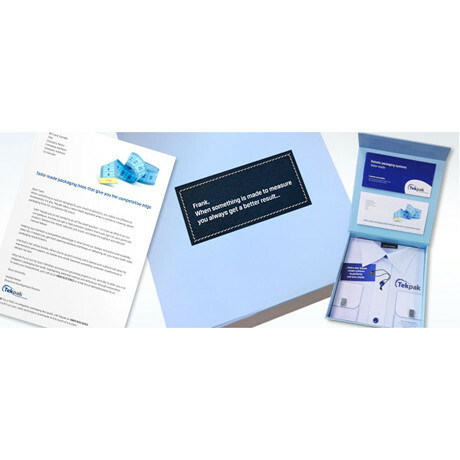 This innovative DM campaign targeted 80 of the leading confectionery & food manufacturing companies across the UK & Ireland. The objective was simple – to position Tekpak as the pre-eminent service provider within the robotic packaging sector, and uncover tender opportunities for upcoming projects. To achieve this we first worked to define the company’s key USP, and then developed a creative concept to communicate that message with impact. 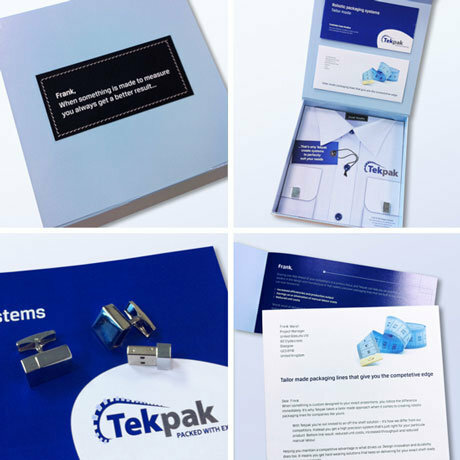 The final piece comprised a bespoke, hinged presentation box with case study brochure, DM letter and a set of chrome USB cufflinks –containing video of our clients systems at work in various locations. For our client it generated revenues far in excess of their expectations, and helped to secure lucrative orders for a number of large UK based clients. The project was also recognised with industry awards from the CIM, IPA and IDMA.